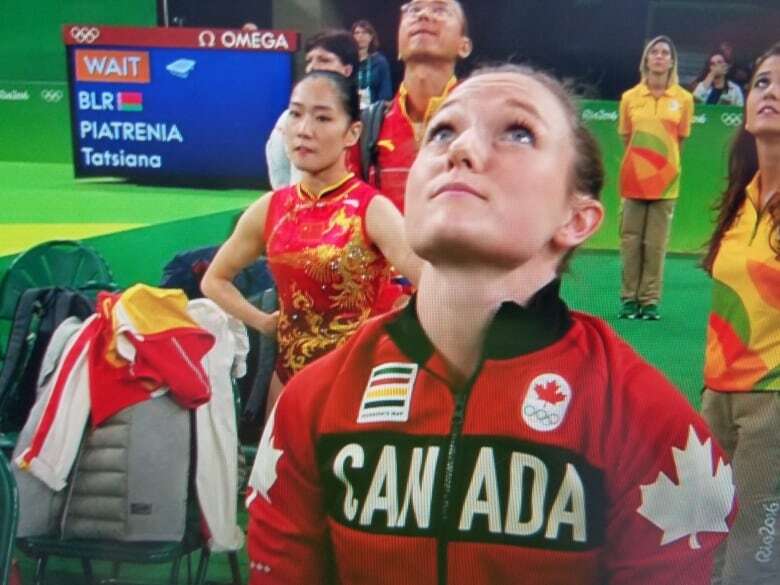 CBC's Andrew Chang spoke with Rosie MacLennan's parents about the pressures on the athlete to defend her trampoline title at the Olympics. 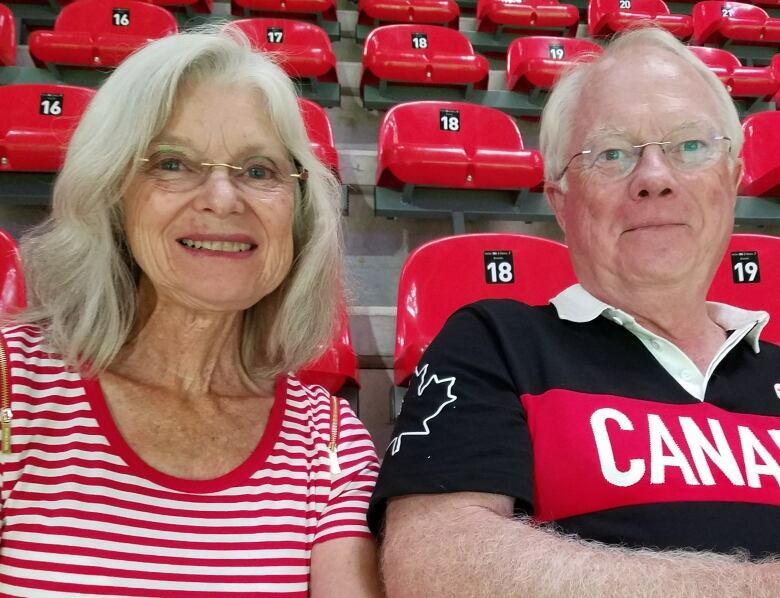 Jane and John MacLennan arrived early to make sure they got to their seats in time to watch their daughter, Rosie MacLennan, defend her Olympic gold medal in trampoline. Or at least, that's how some of the media billed it. 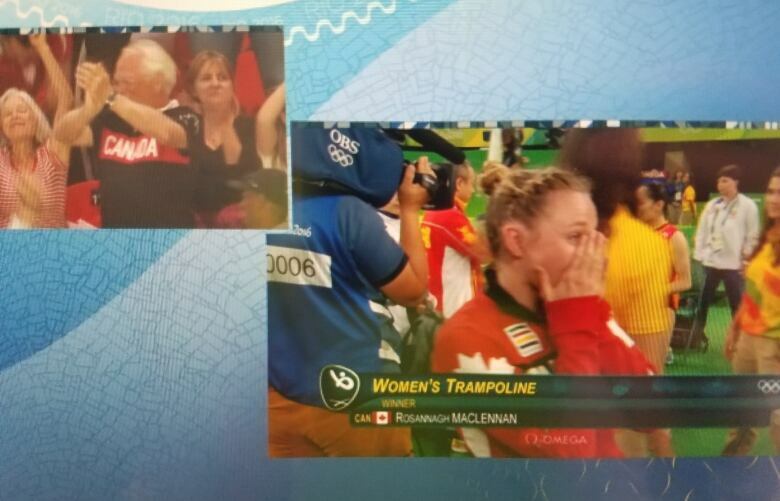 But for the MacLennans, it wasn't about the medal. Reducing their daughter's achievements, hard work, and perseverance to something you wear around your neck — no, that wasn't what this day was about. They had witnessed first-hand the roller coaster ride of Rosie's past few years: overcoming a devastating concussion, grappling with a new training regimen and recognizing that despite the confidence of everyone who said, without hesitation, "Rosie's got this" — on this day, her competition just might get the better of her. During the qualifications, 16 competitors performed two routines. The first one is full of basic, but compulsory, elements. The second is completely up to the athlete and it's the one that is usually packed with the most difficult skills, so each athlete can differentiate themselves from the competition. It's also the routine competitors usually perform in the final. After qualifications, Rosie was third. It was enough to secure a spot in the final but would it be enough to win gold? Rosie's mom, Jane, confided in me that she sometimes thinks, "it's harder to be the parent than it is to be the athlete." She would know. The MacLennans are a family full of athletes, well-versed in the trials and tribulations of elite competition. And I'm willing to bet that every time Rosie soars into the air, twisting and somersaulting 20 feet off the ground, her mother's heart does the same. I asked Jane about the pressure she and her daughter must be feeling. After all, Canada won just one gold medal at the London 2012 Olympic Games, and that was Rosie's gold in trampoline. 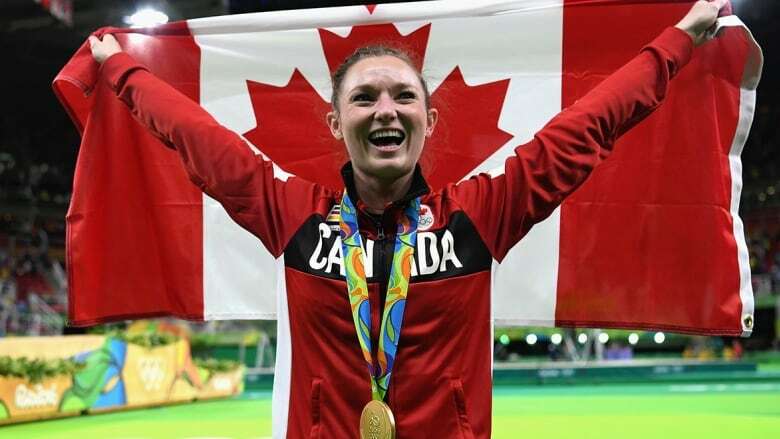 People expected her to win and to defend, not just her title as Olympic champion, but also Canada's national pride. But Jane, with the infinite wisdom of a mother, says "She [Rosie] won gold in London and nobody can take that away. No matter what happens here, no one can take that away." She also hinted at how Rosie herself had learned to let go of the expectations. "Don't get me wrong, she wants to win… but Rosie will be the first person to tell you, she'd love to see another golden girl up on that podium." 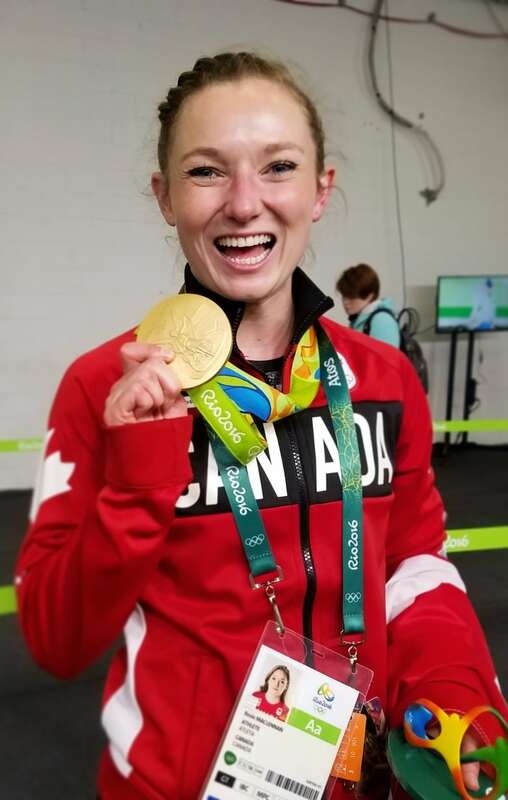 Let me explain: there's a mutual respect between Rosie MacLennan and some of the other athletes that goes well beyond the competition of the day. She is 27 years old. She's been competing internationally since she was 11 against some of the very same people who are competing with her today in Rio. I believe Rosie's mom when she suggests her daughter would gladly share the spotlight or hand it over altogether. The way things worked out Rosie was third last to compete on Friday. That meant sweating it out as her two rivals — who had posted stronger scores than her — performed their final routines. In the end, the competition fell short and any thought of there possibly being another 'golden girl' — at least for now — were cast aside.